The Texas Legislature’s serious consideration of a law mandating take-back and recycling for all household batteries sends a signal to other states considering the same, an advocate for the bill says. 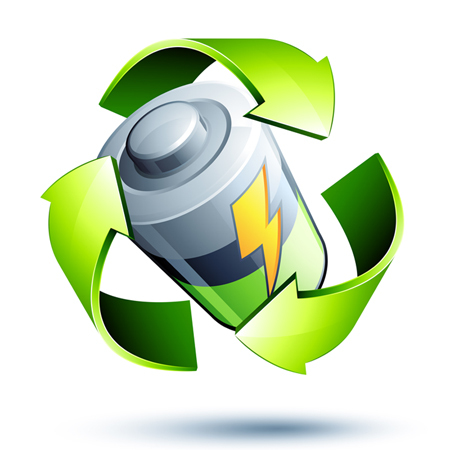 HB 3153 would require the battery industry create a free statewide takeback and recycling program for single-use and rechargeable batteries. Battery makers that refuse to participate would be prohibited from selling batteries in the state. Manufacturers — or stewardship organizations working on their behalf — would submit plans to the Texas Commission on Environmental Quality, which would approve or require plan modifications. The plans would include participating manufacturers, collection locations, goals, plans for recycling and public outreach activities. At a May 5 hearing, the House of Representatives Committee on Environmental Regulation decided to hold off approving the bill. The decision came after the author, Rep. Rodney Anderson, a Republican representing Irving/Grand Prairie, asked that it be studied in more depth because only one other state, Vermont, has established a similar program. Some think the bill goes too far, while others think it fails to go far enough, Anderson told the committee. “It’s really trying to create a framework for an agreed-upon bill between industry, between the battery manufacturers,” Anderson said. If it isn’t considered this year, the bill could be approved during the next legislative session, which would take place in 2017. Schneider said the bill would be the first in the country to cover both single-use and rechargeable batteries. Industry-funded nonprofit organization Call2Recycle organizes the nationwide collection and recycling of rechargeable batteries. Call2Recycle CEO and President Carl Smith testified at the hearing in favor of mandatory participation, noting that his organization pays to collect and recycle a substantial number of batteries from nonparticipating manufacturers. In 2007, a GOP representative in the Texas House of Representatives carried a bill to establish extended-producer responsibility for computers, and another Republican authored a similar bill for televisions in 2011. Both were signed into law by then-Gov. Rick Perry. “What we continue to show in Texas is that producer takeback recycling is not a partisan issue and there’s strong support from conservative Republicans for this policy,” Schneider said.